It may not be easy, but for the client who made this pendant it is a reality: a UW Husky cohabiting with a WSU Cougar. 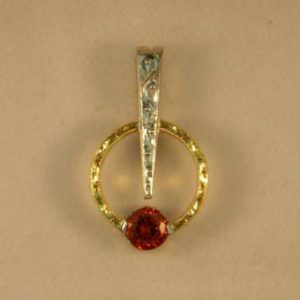 To honor the relationship which has blossomed in spite of the collegiate competition, he decided to make his wife this pendant. 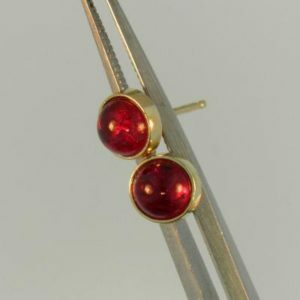 For the Washington State University Cougar he used a natural crimson red Spinel set in yellow gold, while for the University of Washington Husky he used a rich purple Amethyst set in brush-finished white gold. 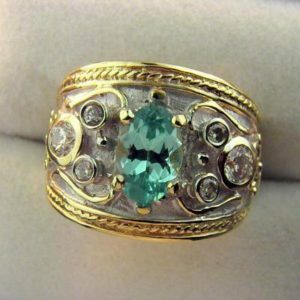 The pendant makes a fun statement but is not too big, measuring about 1.25 inches in length. 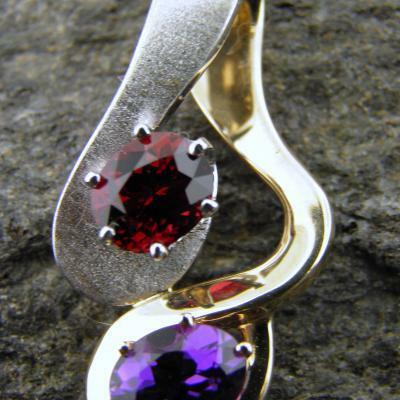 Details: custom 14k two tone pendant set with 1.08ct oval red Spinel and 2.00ct oval Amethyst.